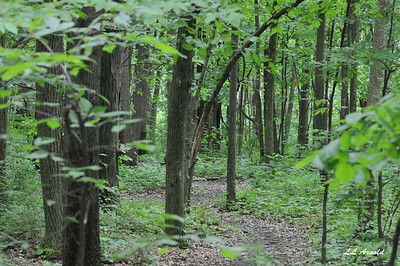 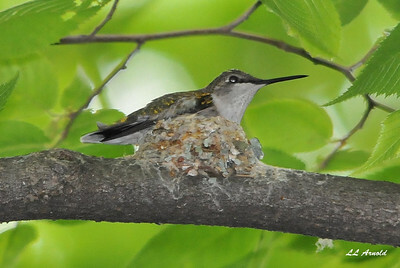 Taken in Elida woods, this is a female. 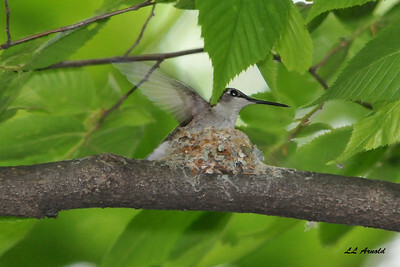 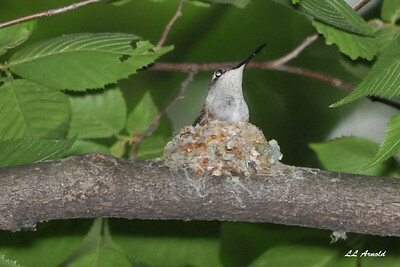 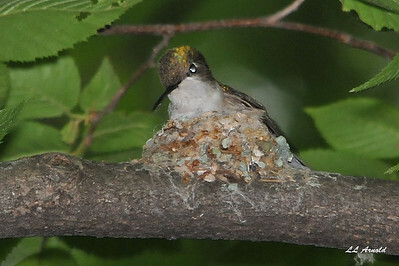 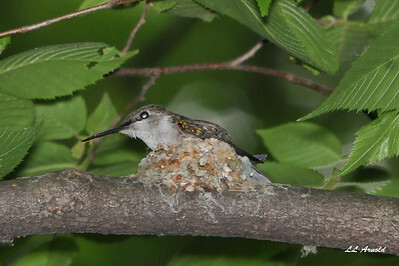 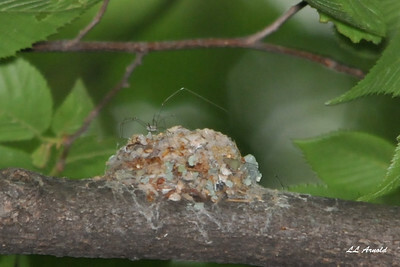 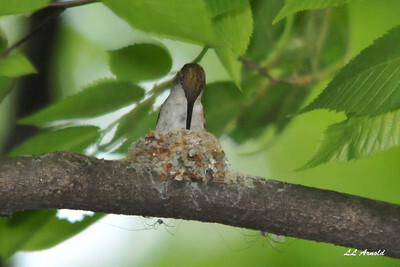 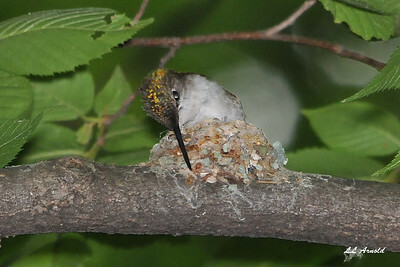 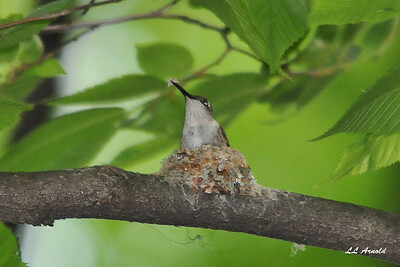 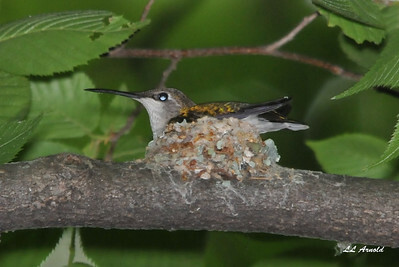 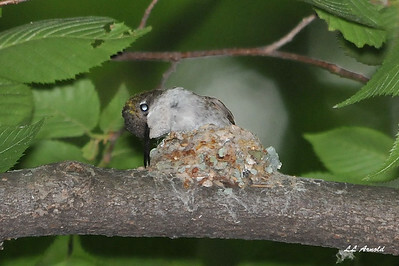 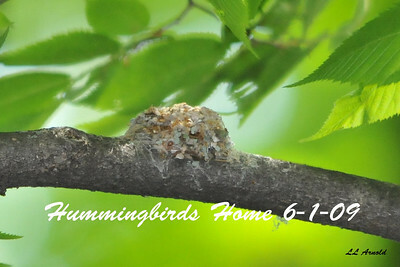 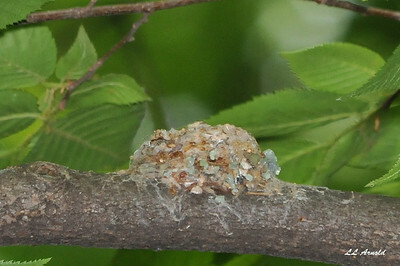 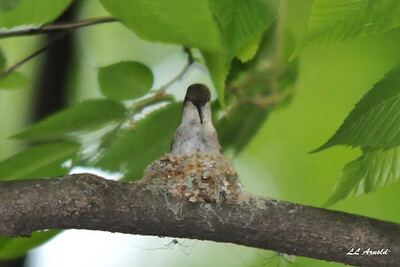 Found this Hummingbirds nest in a woods near Elida. 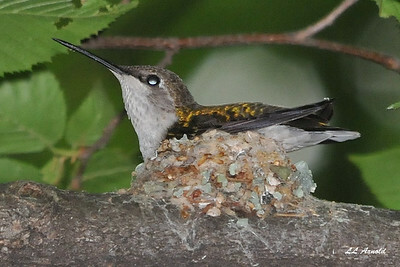 The female is working on the construction of it.